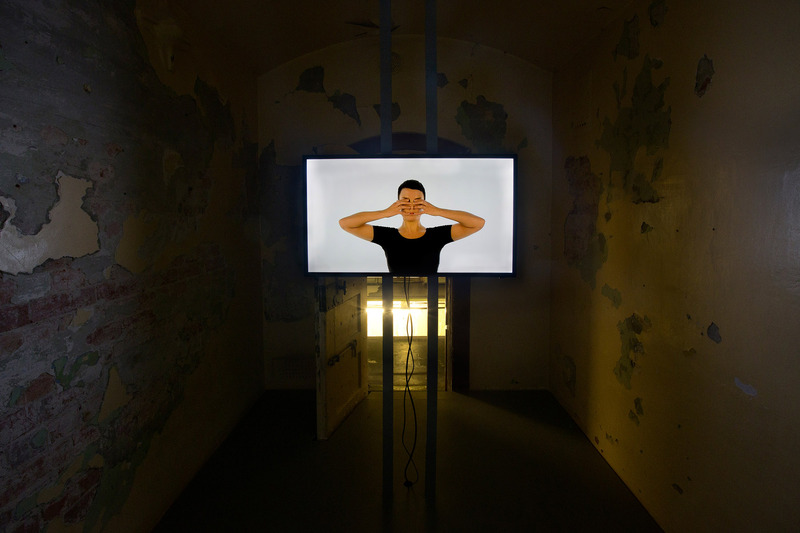 Installation, video and sound 2:29 min. 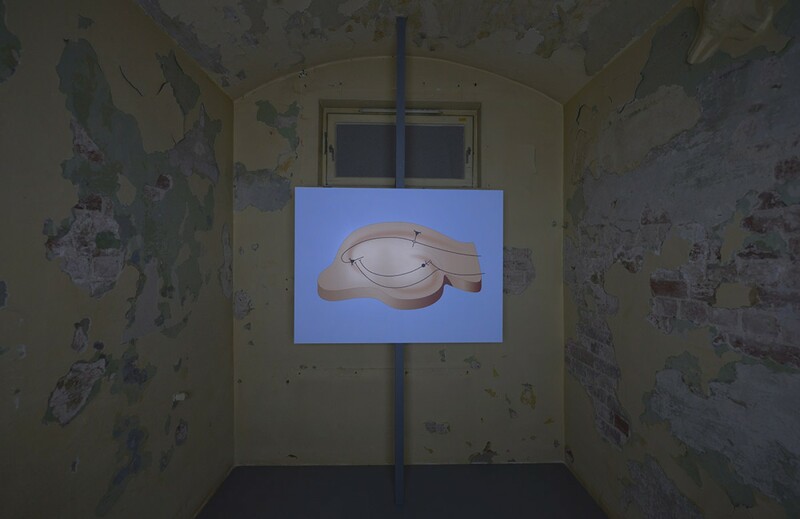 ; in loop, digital print on aluminium. 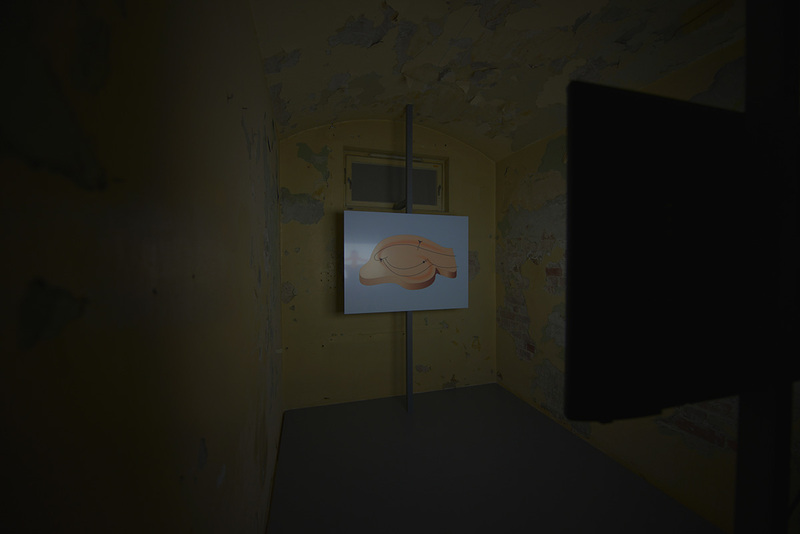 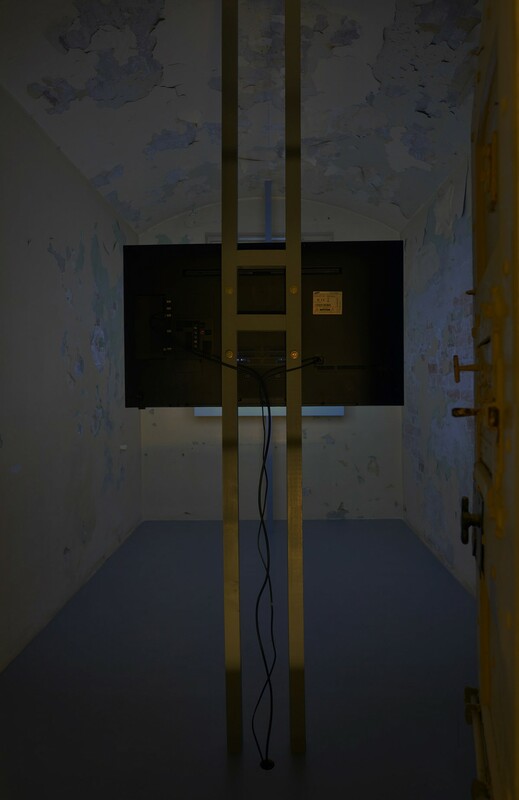 The work was made specifically for a show, LOKALT, presenting three generations of Bergen based artist in the old county jail of Bergen, Norway.